Can I Owe Money After a Foreclosure? A common question for homeowners facing foreclosure is whether they will owe money after a foreclosure. 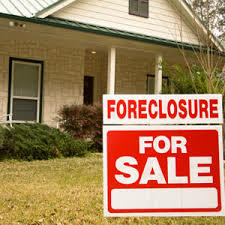 While it is possible to owe money after a foreclosure sale (commonly known as a deficiency judgment), there are requirements that a lender must follow to pursue such a claim, and other considerations that come into play on whether a lender will seek these damages against a borrower. Whether a borrower may own money after a foreclosure depends on the outcome of the foreclosure auction. In such an auction, the home is put up for sale, with the lender attempting to recover the money that the homeowner owes on the home. If the winning bid is greater than the amount owed by the borrower, the borrower gets the difference, after deducting the loan payoff and the lender’s costs and fees. If the borrower owes more than the highest bid on the property, the borrower would owe the difference (known as a “deficiency judgment”). However, to collect this judgment, the bank is required to comply with a notice and affidavit requirement. A 2017 decision from the First Circuit Court of Appeals, Gavin v. U.S. Bank, N.A., held that a lender must strictly comply with this law. In that case, the lender failed to send the required affidavit within thirty days after the foreclosure sale, which precluded the lender from attempting to recover this money from the homeowner. Another consideration on whether a homeowner will owe money after a foreclosure sale is whether the lender has filed such a claim within the required deadline (known as the statute of limitations). The statute of limitations for such a claim is two years from the foreclosure sale. If such a claim is not brought within this deadline, the homeowner will not owe money after the foreclosure. As discussed above, while it is possible to owe money after a foreclosure, it is not common. The reason is that most lenders do not want to spend the time and money collecting a judgment that the homeowner will likely not be able to pay. The old adage applies: you can’t get blood from a stone. Moreover, any owed money after a foreclosure sale can often be eliminated through a bankruptcy, either before or after the foreclosure. If such a bankruptcy occurs, the lender will have few, if any, options for trying to collect this debt. Although it is rare to owe money after a foreclosure sale, it is possible. Homeowners facing such a claim should speak with an experienced attorney to learn their options. This entry was posted in Massachusetts Foreclosure Law Blog and tagged court decisions, foreclosure process. Bookmark the permalink.